Applying the *Shu Uemura Rouge Unlimited Moisturizing Lip Color in OR 520 and ready to embrace the Black Friday sales. Hello, BP readers! I hope your Thanksgiving--should you celebrate--was magnificent! We spent ours at home for the first time in many years and it was lovely spending time with my immediate family and eating a host of homemade food; what a blessing. Today's post--as I am sure you can ascertain from the title--is one-part dedicated to some of my Shu Uemura favorites and another-part focused on the myriad of Black Friday sales that have begun to flood the Internet. I specific suggestions for all of my oft-frequented retailers and sincerely hope the list helps you to streamline your process! Some of my Shu Uemura favorites. 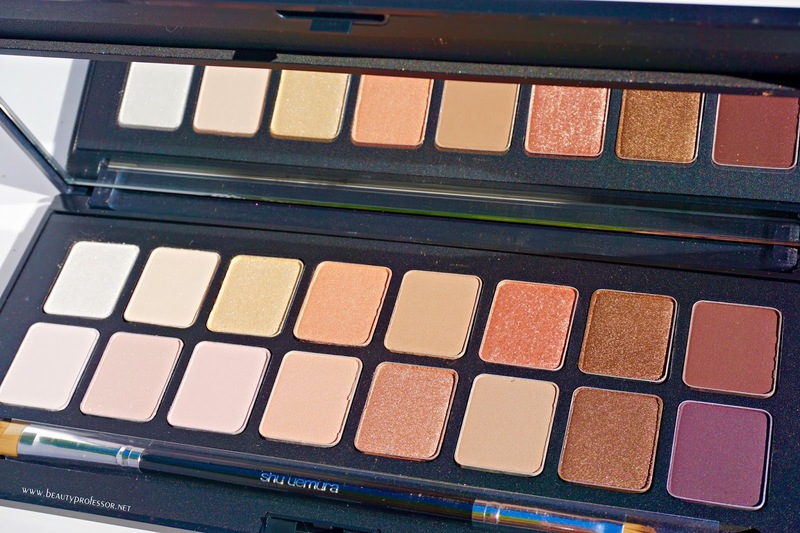 Up first is the *Shu Uemura Palette Fresh Nudes; this 16-pan palette features an array of matte and satin finish shadows in a spectrum of neutral hues. Each shade is smooth, buildable, blendable and absolutely apropos for those (like me) who adore a natural eye look with a dash of luminosity. Additionally, the roomy yet slender case possesses a large mirror and a double-ended brush for application on the go, making this an excellent gift to self or neutral beauty-loving others. Sixteen shades in a mix of matte and satin finishes. 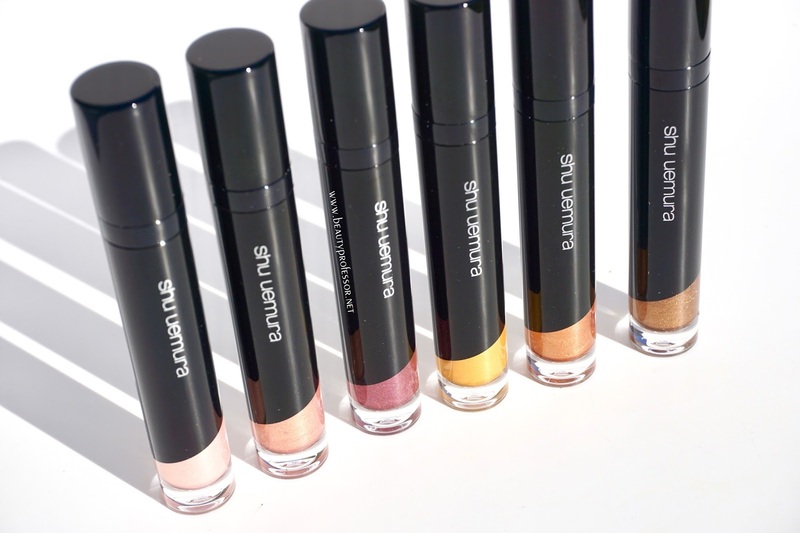 Next, the *Shu Uemura Eye Foil Liquid Eye Shadow (previously reviewed HERE) is--in a word--sublime. The creamy liquid formula blends on with a flat doe-foot for precise application and the radiant finish of each of the shades is simply breathtaking. I originally purchased Dark Bronze (for myself as well as my mom and a friend) when in London earlier this year and have since added five more shades to the lineup. The foil finish is endlessly pretty and, once set (in about 20 seconds), this eyeshadow (which feels entirely weightless on the lids) does not budge, making it an exceptional option for those who work long days and don't want to bother with reapplication. I am partial, of course, to Dark Bronze but equally enjoy the lush--almost golden--luminosity of Bronze as well as the opulent Purpurite, which is rosy enough to flatter a spectrum of skin tones. The rose-gold Copper is also divine and excellent for moments when an ethereal wash of subtle color is desired. In case you couldn't tell from my preceding sentences, I cannot recommend the *Shu Uemura Eye Foil Liquid Eye Shadow enough! 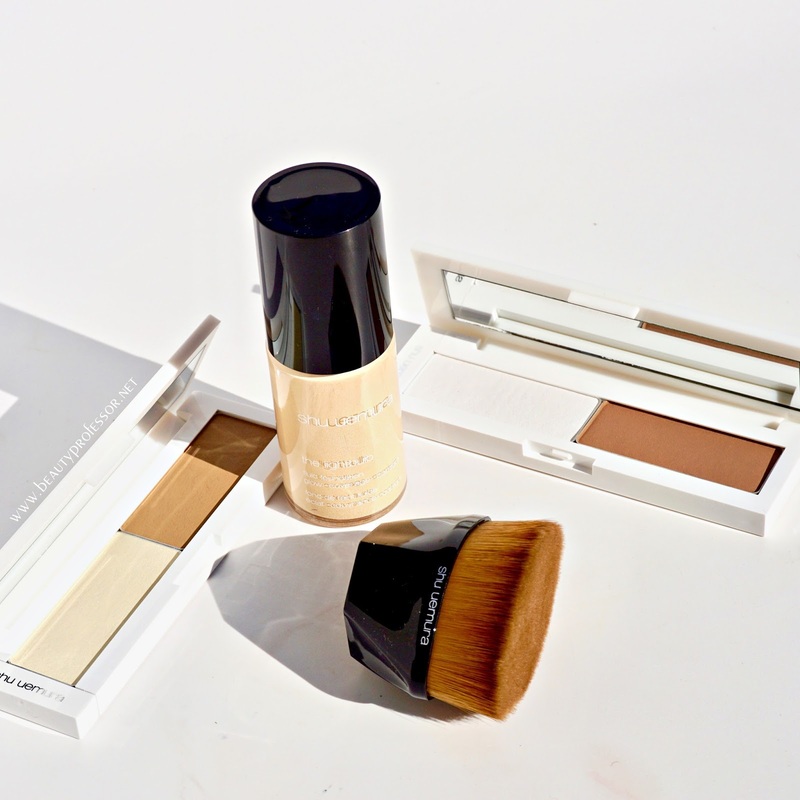 Shu Uemura Base + Face. In terms of base and face, the *Shu Uemura Lightbulb Fluid and Sponge offers stunning medium coverage with a natural, incandescent finish that makes skin look lit from within. The liquid formula is lightweight and breathable and masterfully blurs the appearance of pores, fine lines and discoloration while maintaining a fresh-faced result. My soon-to-be-winter match is 764 Medium-Light Beige and I would likely bump to 754 Medium Beige once summer rolls around again. 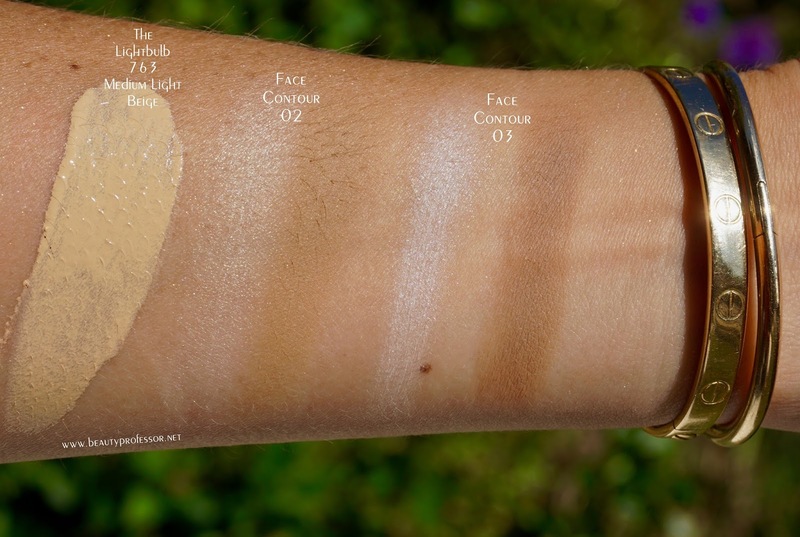 The shades available currently favor fair through medium skin (hoping for shade extensions soon!) but should you be in this range and enjoy working with a liquid texture, this foundation and its accompanying sponge are worth pursuing. 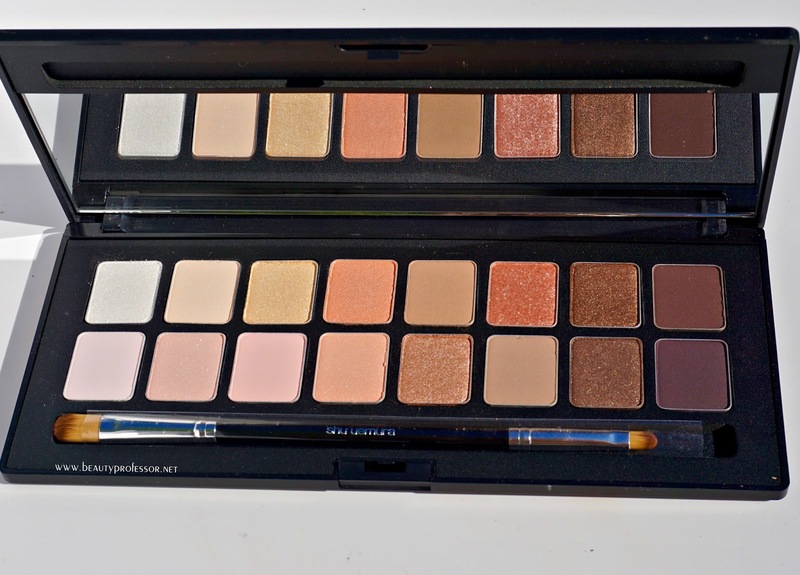 To contour and highlight in mere seconds, the *Shu Uemura Face Contour Palette (shown in 02 and 03 below) are brilliant. The finely milled powder--in contrasting shades of brown and cream--work to add immediate dimension to the face without leaving even the slightest trace of harsh lines behind. 02 is befitting for light to medium skin and 03 works well on medium to tan visages. If you're a fan of brushes, *the offering from Shu Uemura (including the fascinating Foundation Brush Petal 55 pictured above) is impressive and now is a perfect time to invest in a couple of key pieces. *Shu Uemura Rouge Unlimited Moisturizing Lip Color and Ultime8 Sublime Beauty Lip and Eye Contour. Finally, the *Shu Uemura Rouge Unlimited Moisturizing Lip Color is simply marvelous. 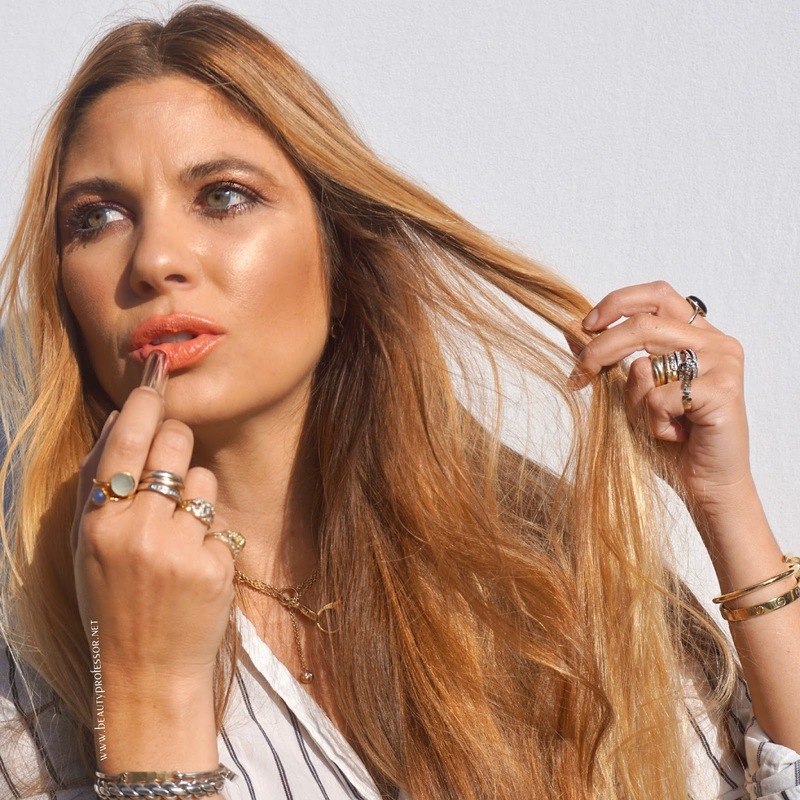 This buttery and hydrating formula bathes lips in luxuriously pigmented and shiny color that wears evenly and stalwartly for hours. It's truly a formidably beautiful formula! Although I love having all six shades swatched below in my repertoire, my favorite hues are the quintessentially pinky peach CR310 and 1960s Creamsicle orange OR520 (worn in the images at the beginning and end of this post (which should come as no surprise to those who consistently read this blog!). Also, to close I must mention the *Shu Uemura Ultime8 Sublime Beauty Lip and Eye Contour; this multi-tasking formula hydrates and refines skin while increasing firmness and the overall contour of the delicate orbital and mouth area. The cream is plush yet absorbs instantly, effortlessly priming my skin for the makeup to come. 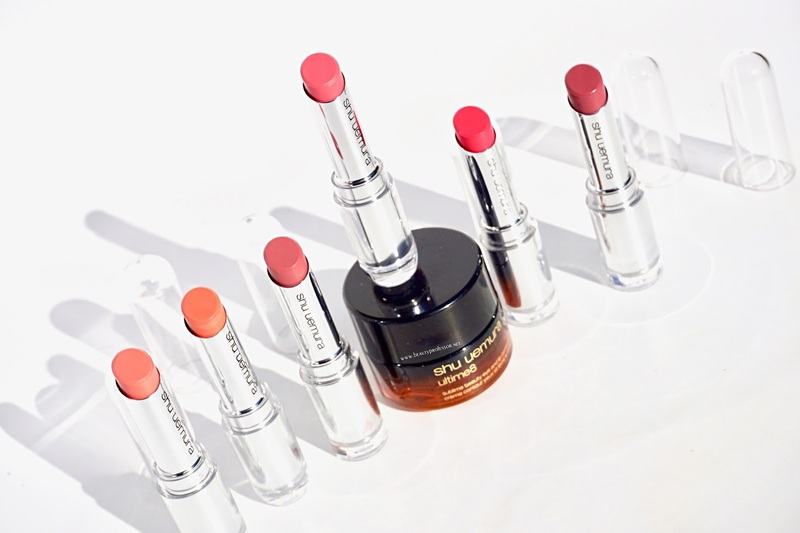 Currently, Beauty Professor readers can get free shipping + 3 free Shu Uemura samples with code: PROFXSHU...it's the perfect time to try something Shu that's been on your radar! The eye look, which involves the Fresh Nudes Palette (as a base) plus a healthy dose of Eye Foil in Purpurite and Bronze. 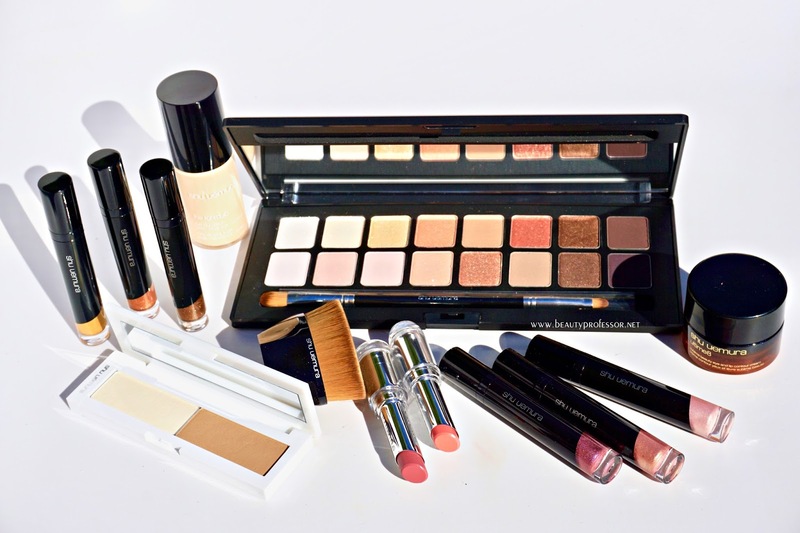 Space NK: Buy one, get one half off promotion from a curated selection of best sellers. I strongly encourage considering...Sunday Riley Good Genes, Hourglass Ambient Lighting Blush (reviewed HERE), Chantecaille Future Skin Foundation (reviewed HERE), By Terry Compact Expert Powder (reviewed HERE), Surratt Beauty Artistique Eyeshadow (reviewed HERE), Hourglass Confession Lipstick (reviewed HERE), Oribe Gold Lust Conditioner (reviewed HERE) and Byredo Gypsy Water (reviewed HERE). 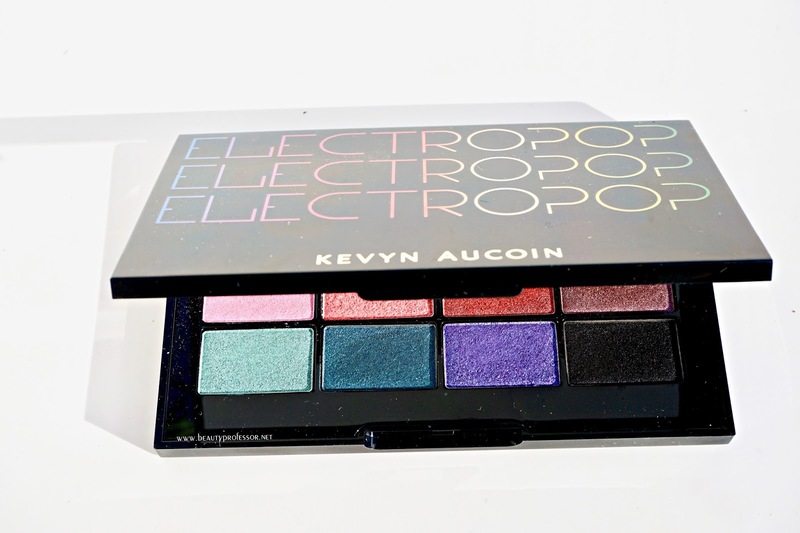 Also, the *Kevyn Aucoin Electropop Pro Eyeshadow Palette just arrived at Sephora (which, by the way, is also rife with Black Friday deals including tons of $15 and under gems) and I am over the moon to be able to share preliminary swatches. This color-saturated palette features 12 velvety shades--all with a lush shimmer finish--in a rainbow of colors that powerfully translate from day to night. The color payoff of these finely-milled hues is fantastic with minimal fallout and a lasting finish. 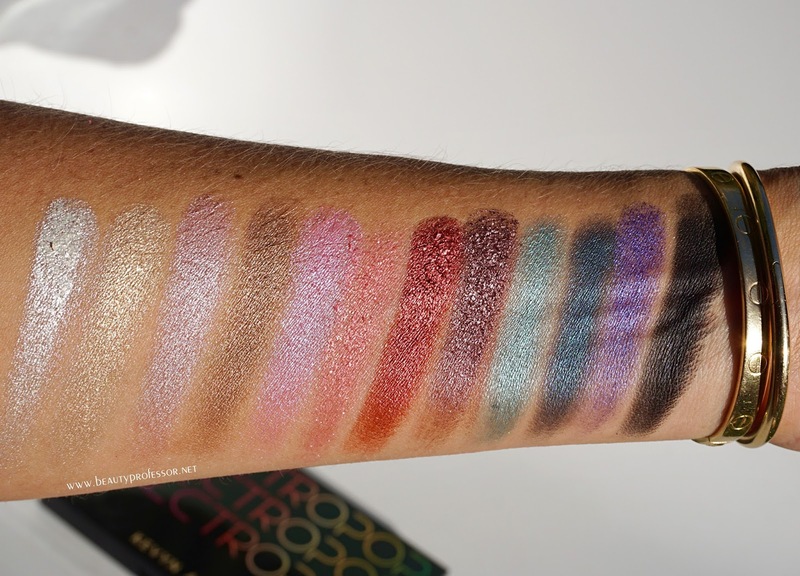 Although I am admittedly one to skew towards the neutrals--especially when it comes to the eyes--I am deeply impressed with the versatility of this particular palette and have already found myself apply no less than seven of these shades in the past week. 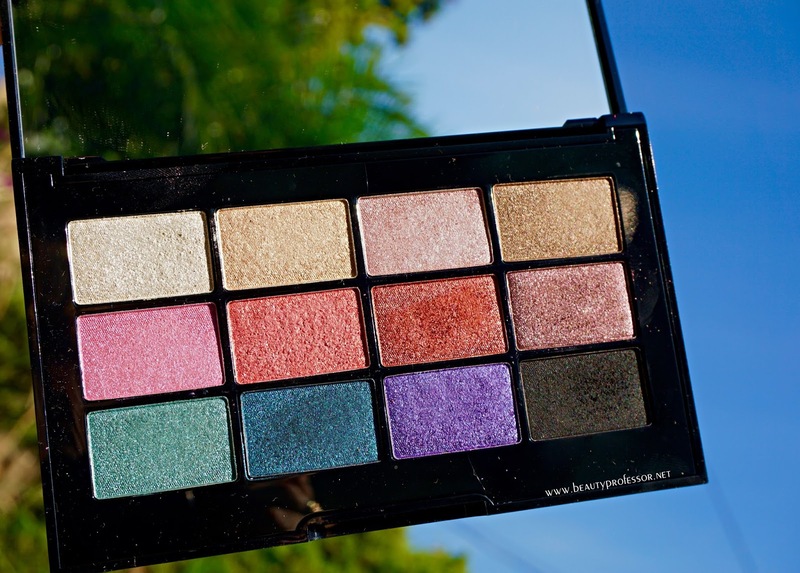 I look forward to continuing to experiment with this palette and highly recommend it for one who loves a luminous finish and is looking to get out of their eyeshadow comfort zone! 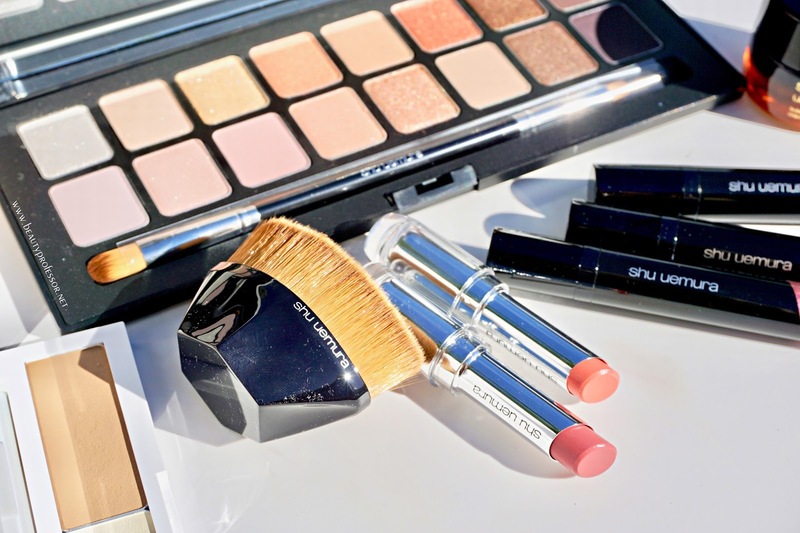 Bottom Line: I hope you found this overview of Shu Uemura favorites as well as my Black Friday Shopping Guide inspiring and worthwhile in this busy season online! Don't forget, Beauty Professor readers can get free shipping + 3 free Shu Uemura samples with the code PROFXSHU. What may have caught YOUR eye? Do tell. Good things ahead, including a Cyber Monday sale update, a fresh video (I promise) and a host of new product discoveries that I cannot wait to share with you. 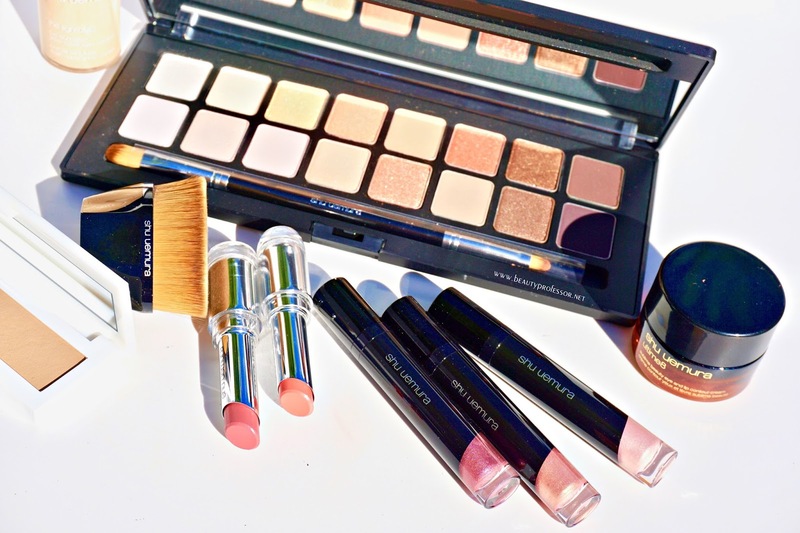 Those Shu Uemura Liquid Shadows and contour palettes stole my heart!! Do you know if the contour ones are a limited edition? I'm very much drawn to the darker palette, although my skin tone is on the fair side. They look so purse friendly and beautiful shades! 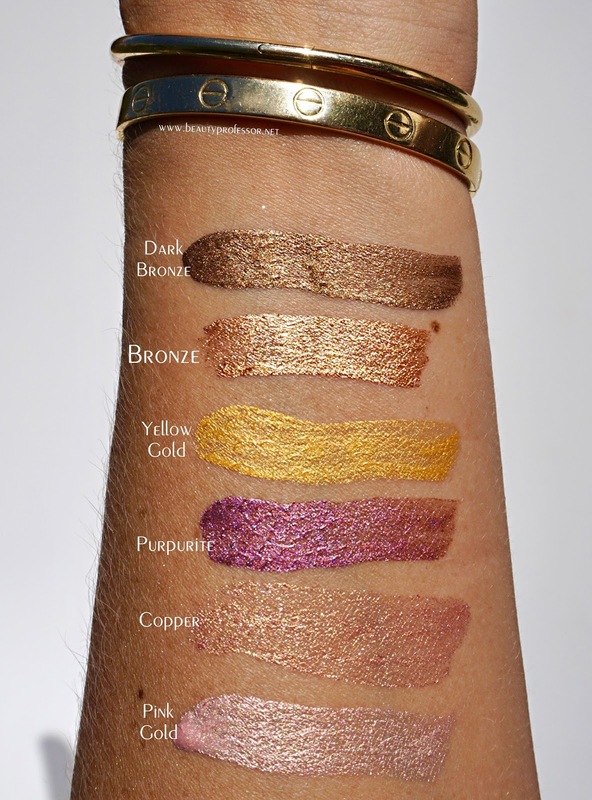 You also look stunning as always, thank you so much for the swatches. Have a great weekend!